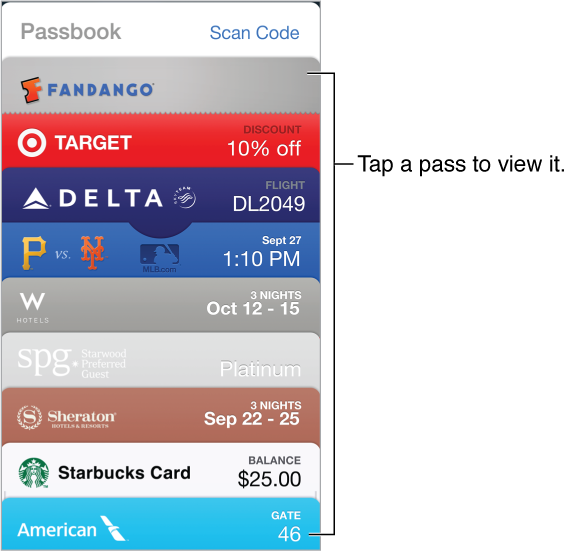 Use Passbook to keep your boarding passes, movie tickets, coupons, loyalty cards, and more, all in one place. Scan a pass on iPhone to check in for a flight, get in to a movie, or redeem a coupon. Passes can include useful information, such as the balance on your coffee card, a coupon’s expiration date, or your seat number for a concert.